Don’t wait until it’s too late to get your car brakes checked! For the most part, our brakes work well until- well, until they don’t work. And by the time we find out they’re not working well, it’s too late. When you step on your brake pedal, a fluid is released into your vehicle’s system of tubes and hoses. The brake fluid is a specific fluid that cannot be compressed. These tubes and hoses carry the incompressible fluid to the braking units at each wheel. Because the fluid wasn’t compressed, it reaches the units with full force and the wheels stop. You brake. You’re safe. However, if any part of your braking system allows air to seep in, the fluid becomes compressible. If it’s compressed, it removes that omnipotence of the brake fluid. The fluid is mixed with air that makes it compressible, and by the time it reaches the braking units, the force is smaller. The efficiency drops, and if there’s enough air, it fails. This is why it’s so important to have your brakes checked before a problem arises. Don’t let that air in! 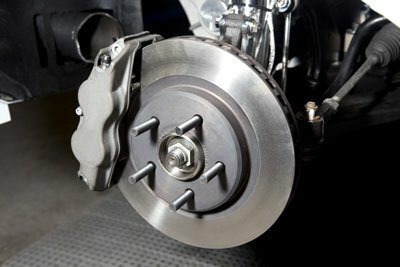 For the most reliable brake repair Scottsdale AZ, come into Tech Plus Automotive! We’ll keep you safe on the road.